But today I wanted to take the flavors from tacos and make them into a cheesy Mexican dish that will be totally family friendly and perfect for dinner any night of the week. 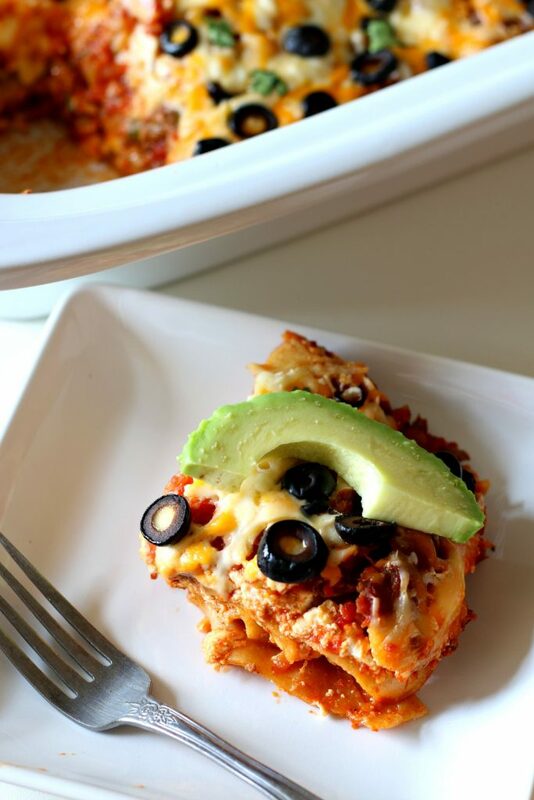 You never know Taco Tuesday at your house could become Taco Lasagna Tuesday from now on! October 17th is National Pasta Day and I think you should celebrate by making some pasta. Come on! It’ll be fun. 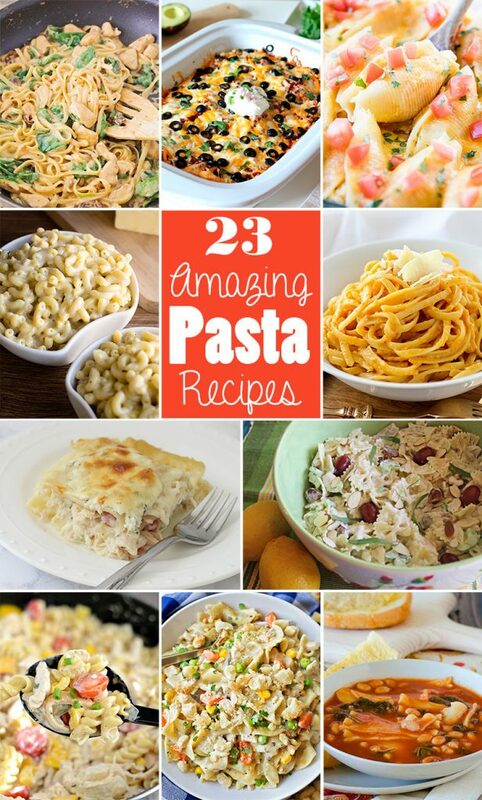 Here are some pasta dishes from my amazing blogger friends. 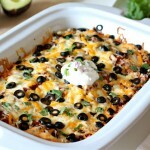 For this slow cooker taco lasagna recipe I went with my 3-quart casserole crock made by the Crock-Pot brand. I have loved this casserole shaped crockpot for recipes just like this. I love that the crock insert is completely oven and dishwasher safe. I love how if you want to brown the top of the casserole you can do that quickly in the oven after it cooks all day in the slow cooker. Or if you want to bake something in the oven and then put it into the crockpot and keep it warm on the counter, you can do that too. A lasagna made in your slow cooker with all the fun Mexican flavors found in tacos. Heat skillet over medium high heat; add ground beef. Use wooden spoon to break meat into even pieces. Add taco seasoning and tomato paste, stirring occasionally for even browning. Continue to brown beef until no longer pink; drain excess fat. Set aside. Place ricotta in medium bowl; add egg and whisk until combined. Set aside. In casserole slow cooker or 6-quart oval slow cooker, layer 5 uncooked whole-wheat lasagna noodles over bottom (you may break some noodles in half to fit slow cooker shape). Spoon half of ricotta mixture over noodles as evenly as possible. Sprinkle half of beef over ricotta. Pour half of salsa over beef. Mix cheddar and mozzarella together to blend. Sprinkle half of cheese mixture over salsa. Repeat layering, starting with remaining lasagna noodles and ending with remaining cheese mixture. Top cheese layer with sliced olives, if using. Cover slow cooker; cook on high 2-3 hours or low about 4 hours. Serve lasagna immediately with favorite toppings (sour cream, red onion, cilantro and avocado are my favorites.). I like using whole-wheat lasagna noodles for this recipe because they do not get mushy like white pasta tends to do in the slow cooker. The noodles do not need to be oven-ready noodles. To make gluten free: Check taco seasoning packet for wheat. There are several brands out there without gluten. Substitute for gluten-free lasagna noodles. Amazon is a good place! I’ve seen them at Target too, I think. What do you mean The noodles do not need to be oven-ready noodles. you don’t need to cook them first? Oven ready noodles are just this particular product that you can buy at the store. And yes you do not cook the noodles first. I have this Crock Pot and love it! It is especially good for taking to potlucks and keeping your food warm. 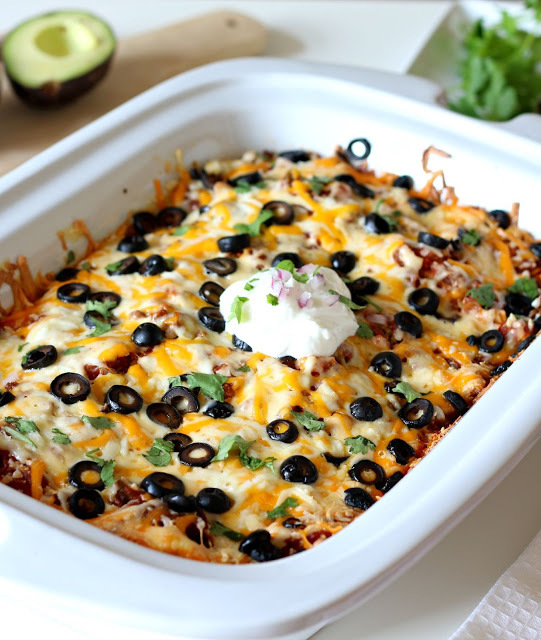 This taco lasagna looks amazing! Can’t wait to make it! It truly is such a great invention! I’ve never tried lasagna in the crock pot before, but I’m going to have to. This recipe looks fantastic!! Oh really? I love lasagna in the crockpot. It works so well. WHOA! I’ve never seen a crock pot like that! Hot kitchen in the summer-problem solved! I am so excited! To many !!! just can’t contain myself!!!! This looks sooo delicious! Love the casserole crock pot too! I've never seen a crock pot like this one LOVE it and the lasagna too!